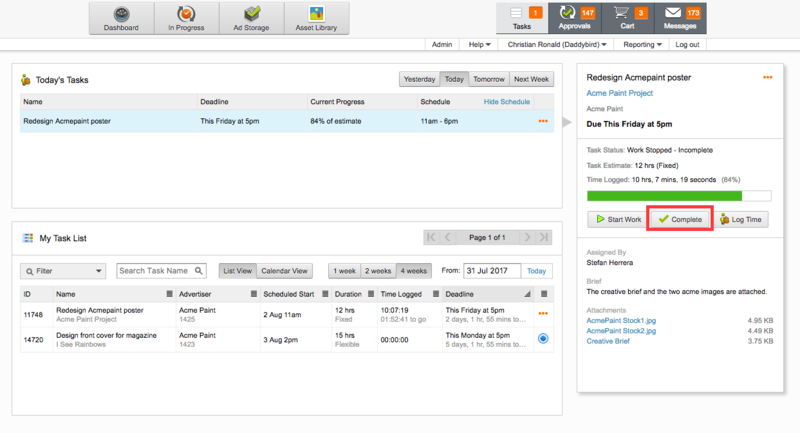 This overview demonstrates how admation’s Online Timesheets can be used to track the time spent on marketing tasks and projects. 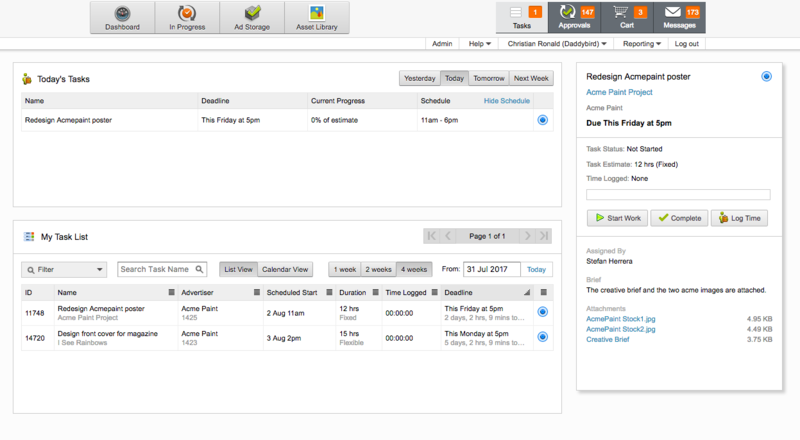 This is a great tool for marketing managers to better estimate resources and budgets for future marketing projects. 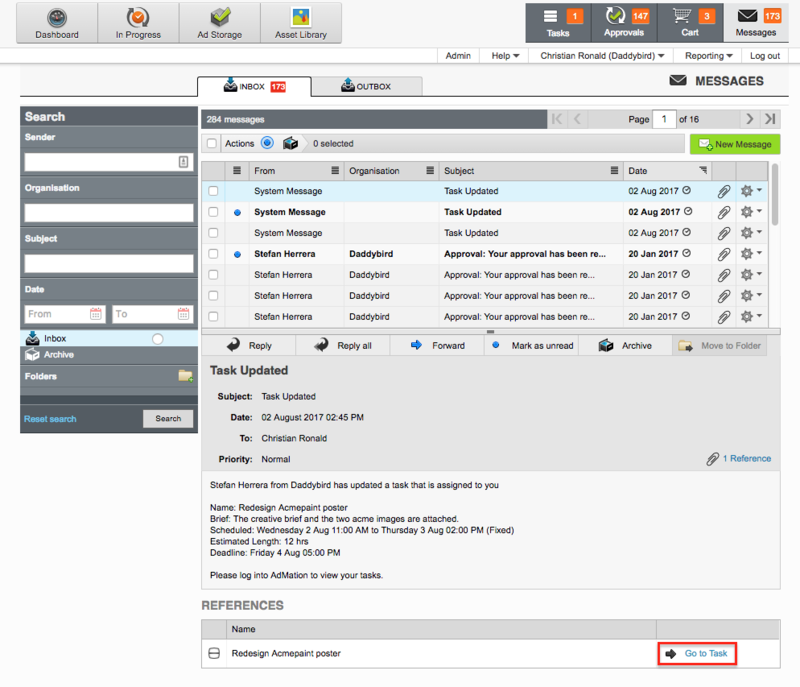 When a task has been assigned to you, an email detailing the task will be sent to you. Click the link in the email. 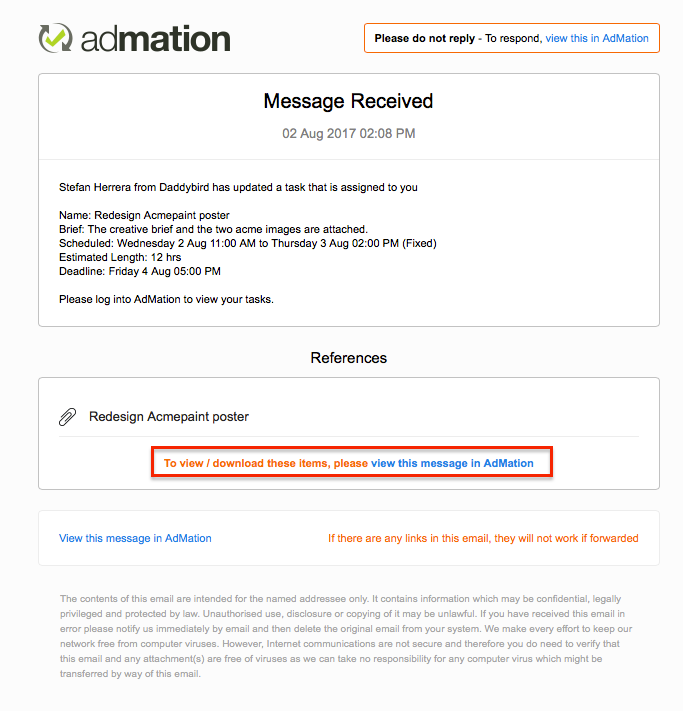 Click the Go to Task link from your admation Inbox. You will be directed to your Task List. Any tasks you have to work on today will appear in Today’s Task. My Task List displays a summary of all the tasks that have been assigned to you. If you click on a task, the metadata for that task will appear such as task name, due date, task brief, as well as any attachments. 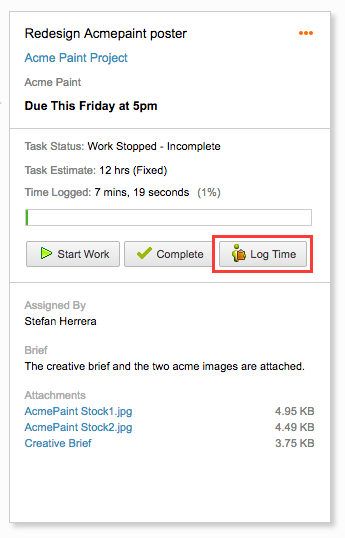 To log time against a task while you work, click Start Work. Once you have stopped working on the task, click Stop Work. To log this time, click Add to time log. 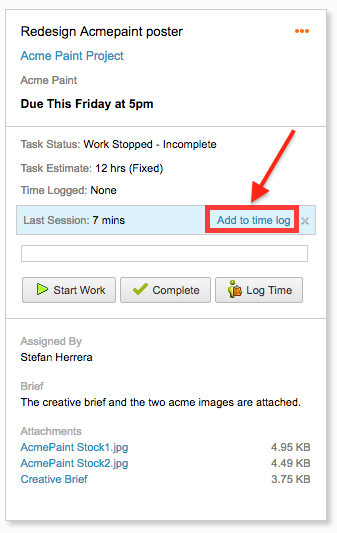 To log time on a task you’ve already worked on or completed, click Log Time and fill in the prompts. Click Add Entry. 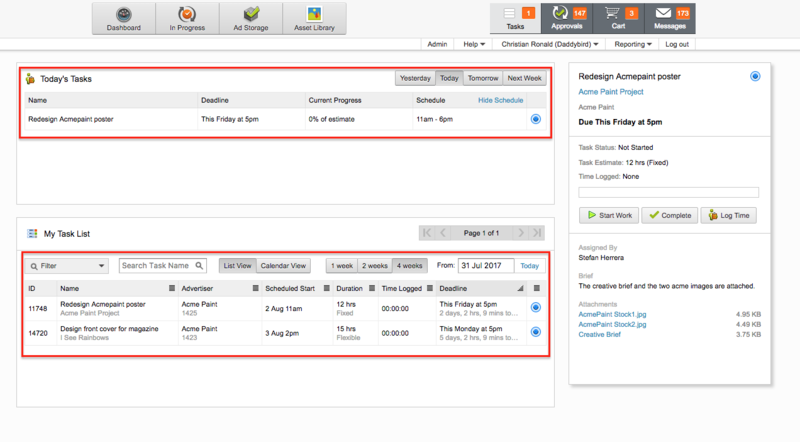 Click Save Changes and the time that was logged will display. Once you have finished working on a task and are ready to mark the task as competed, click Complete. A green tick icon will appear next to the task’s name.